The first images of the Czech Republic that come to mind often center around Prague, but there is so much more to see just outside this capital city. After a few days exploring Prague, I headed out on a solo road trip around the Czech Republic! My main goal was to explore the best local culture, cuisine and experiences in the whole of the Czech Republic. From lesser known castles to natural wonders to unique stays, here are some of my favorite things you can only experience in the Czech Republic. Thank you to Czech Tourism and Amazing Places for hosting my stay. 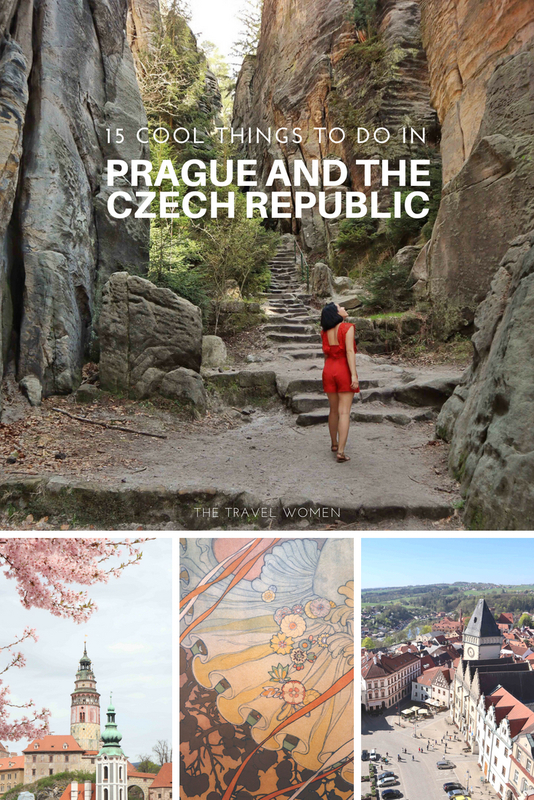 Now here are my top 15 things to do in the Czech Republic. 1. Prague: Though Prague should not be the only stop on your Czech Republic trip, it is a great place to start! 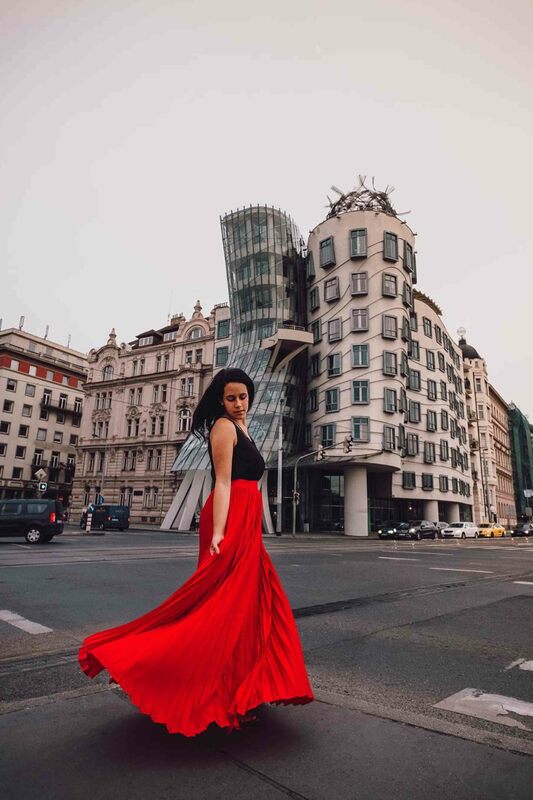 There is so much to see in this capital city from the historic Charles Bridge, Prague Castle, Old Town Square to the colorful Lennon Wall or Jubilee Synagogue to the more modern Prague Library book tunnel or dancing house. Travel tip: Go early to top attractions like Prague Castle and Charles Bridge to avoid overwhelming crowds and lines! Dancing House is an architectural wonder, which was built to look like Fred and Ginger dancing. I had the opportunity to stay here overnight and was amazed by the views and hilarious people watching as everyone outside my window was stopping to take photos of the building! Then when you’re done czeching it off your bucket list, hike up to Strahov Monastery and Letna park for peaceful views at golden hour. 2. 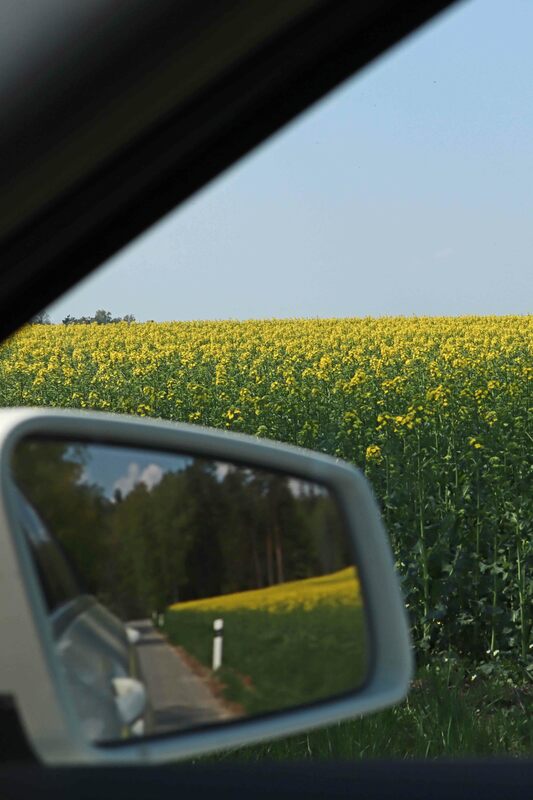 Take a road trip: After a few days of seeing the sights in Prague, rent a car and head outside of Prague to see and do the other things on our list! Best part: there is less traffic and fewer tourists outside of Prague! 3. Castles: There is more to see than just Prague Castle! I loved the Cesky Krumlov castle for its unique painted tower and intricate and varied architecture but there are about 200 other castles worth visiting! Visit Karlstejn Castle (only 30 kilometers southwest of Prague), or the impressive Hluboka Castle, or the Lednice Castle and fairy tale park, or Trosky Castle (built on two basalt volcanic plugs), or the star shaped Žďár castle in the Vysocina region. 4. 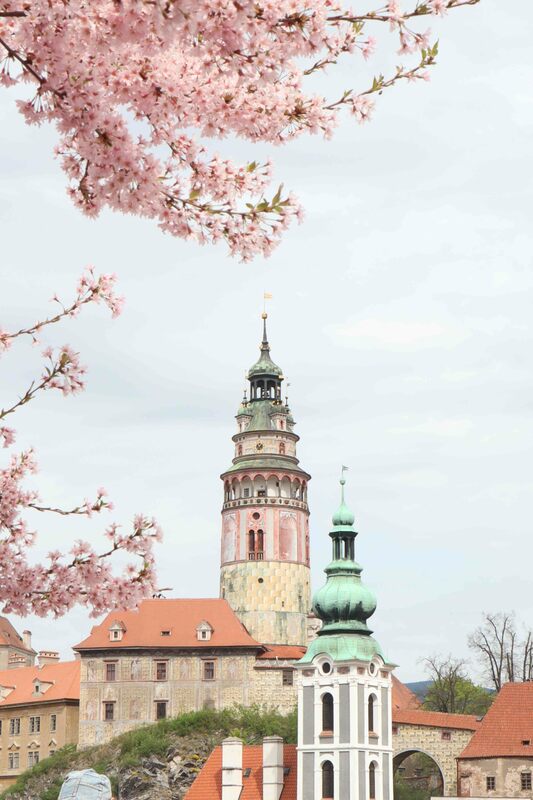 Climb to the top of the tower: Climb to the top of the Charles Bridge Tower for a gorgeous view of the city and any tower in a Czech town like Cesky Krumlov or Tabor (pictured above) for the best aerial perspectives sans drone! 5. Helicopter ride: Get an even better aerial view by helicopter or hot air balloon! I took a helicopter ride in Brno during an incredible sunrise. While in Brno, the second largest city, enjoy the amazing cuisine and nightlife like Super Panda Circus. 6. 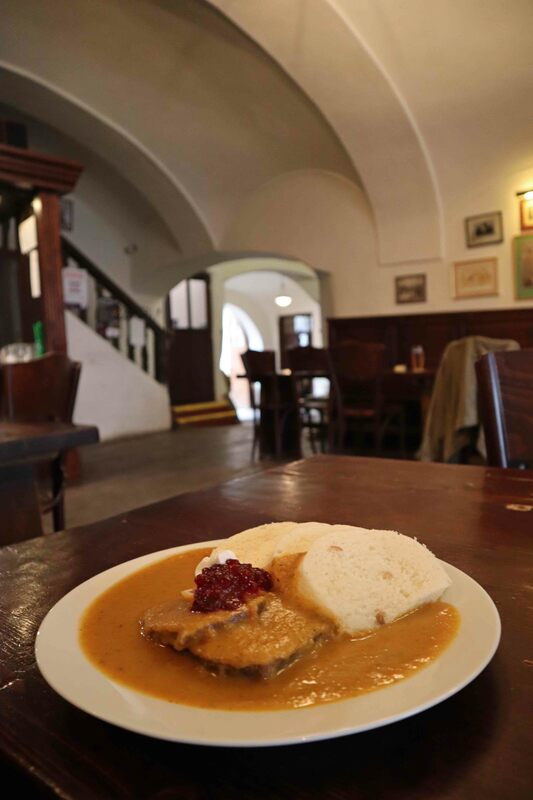 Try Goulash: or the even tastier Svickova local dishes which consist of braised meat in a thick sauce with bread dumplings. 7. Try local Czech desserts: No, I am not talking about the tourist craze of Trdelnik, which is not the traditional Czech pastry it claims to be. 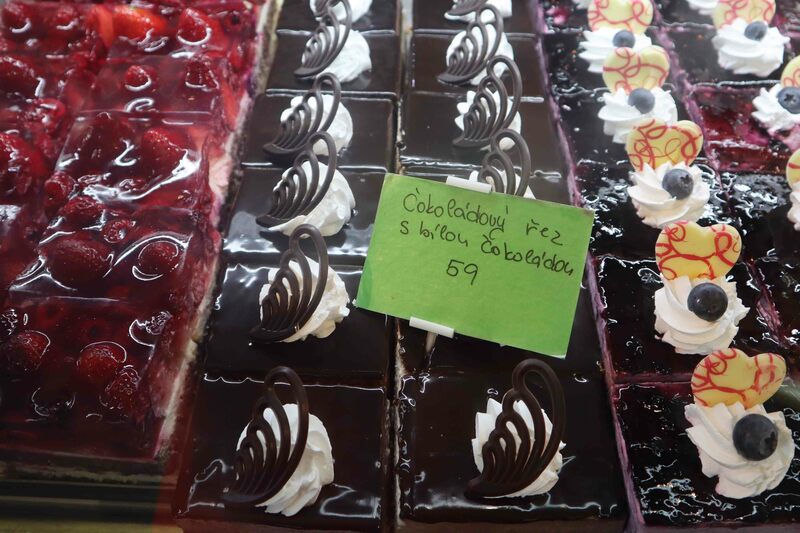 Instead go inside a pastry shop to try real local Czech desserts. 8. 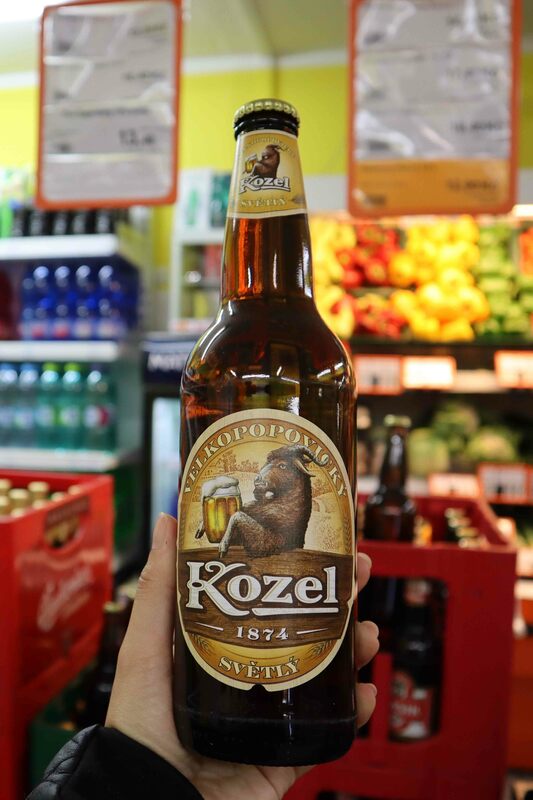 Have a beer: The Czech Republic drinks more beer per capita than any other country in the world! The Czech Republic has a long history of brewing beer with the first recorded brewery opening in a monastery in 993 AD. Now beer is often cheaper than water. Try local beers such as the original Budweiser and Pilsner beers. Even non-beer drinkers can raise a glass of wine from Moravia, known for their white wines. The Czech people love beer so much there is even an awesome beer spa in Prague. 9. 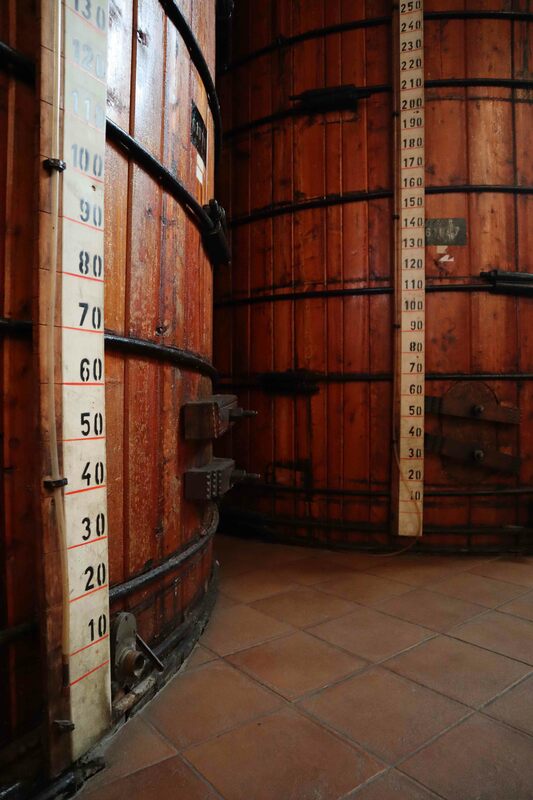 Go to a brewery, café, distillery or plum distillery: Lift your spirits by sampling plum, pear and cherry brandies at Rudolf Jelink Distillery in Moravia near Zlin. The café culture is also booming with amazing offerings for java junkies! 10. 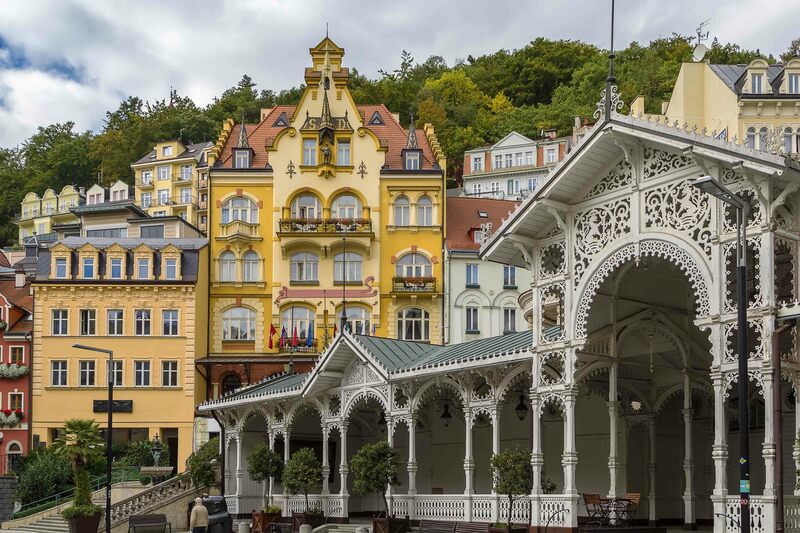 Visit Karlovy Vary: Travel to one of the prettiest little spa towns in the Czech Republic! Many believe Karlovy Vary’s hot spring has healing powers. 11. 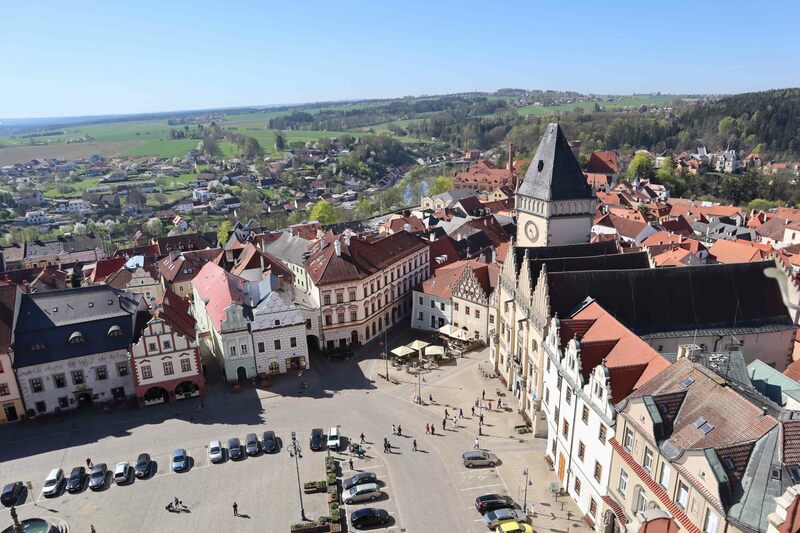 Visit Telc: This small village has some of the best examples of Italian Renaissance architecture north of the Alps. You can even stay in one of the colorful houses in the main square like I did here! 12. 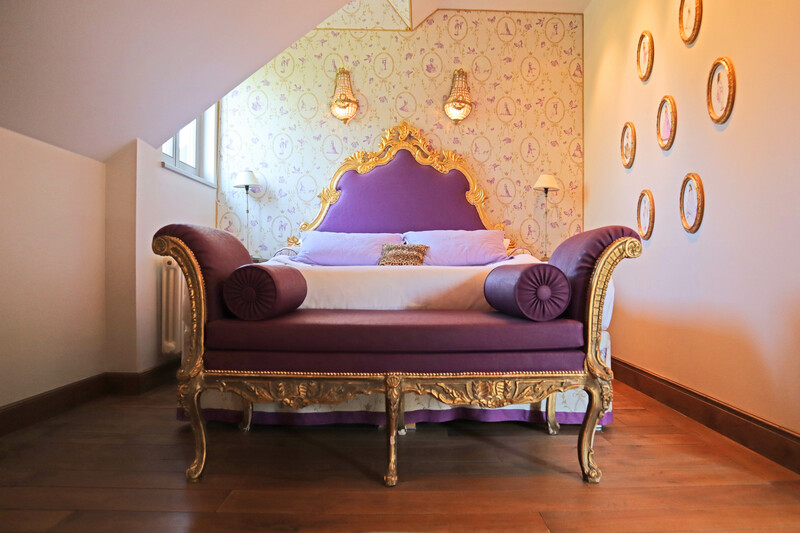 Stay in a castle: Even better stay overnight in a castle in the countryside! The drive is just under an hour from Prague. I loved staying in Chateau Mcely where the award-winning cuisine and peaceful setting made it the perfect retreat from the hustle and bustle of Prague. Read my Chateau Mcely review and book it here. 13. 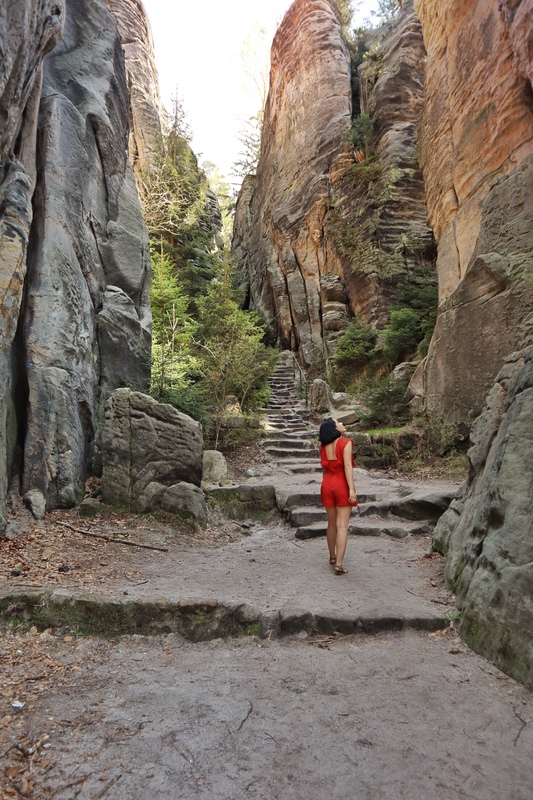 Visit natural parks: I absolutely loved visiting Prachov Rocks (Prachovske Skaly in Czech) which looks like a mini Yosemite (minus the tourists). It is about an hour and a half drive from Prague or drive further north to discover Bohemian Switzerland, where some of the Chronicles of Narnia film was shot (about two hours north of Prague). Adventurers will also love taking a boat ride along an underground river in Punkva caves. 14. 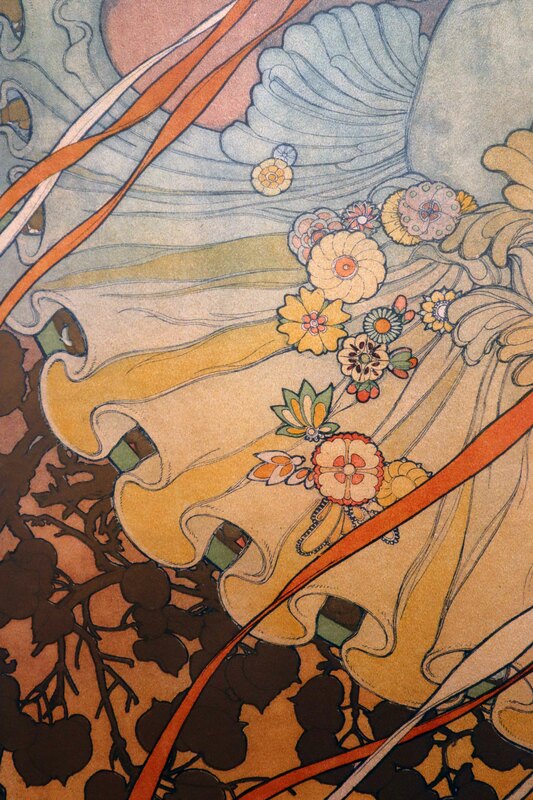 Visit a museum: Museum goers can satisfy their sweet tooth at the chocolate museum in Tabor or indulge in art nouveau details at the Mucha museum (pictured above) in Prague. Another museum worth czeching out is the Bata shoe museum in Zlin and its famous elevator. It was the world’s first elevator office allowing the founder to save time moving between floors without leaving his desk. 15. Drive in a rally car! One of the coolest things I did in the Czech Republic was driving, well I didn’t drive, but rather sitting in the passenger seat while a real rally car driver completed a course! It was a thrilling experience and not at all as scary as it might look. Despite my hilarious reaction I came out of the car immediately asking if I could go again! Whatever you do, wherever you explore, make sure to get off the beaten track with a beer, Moravian wine, plum brandy or gourmet coffee in hand! 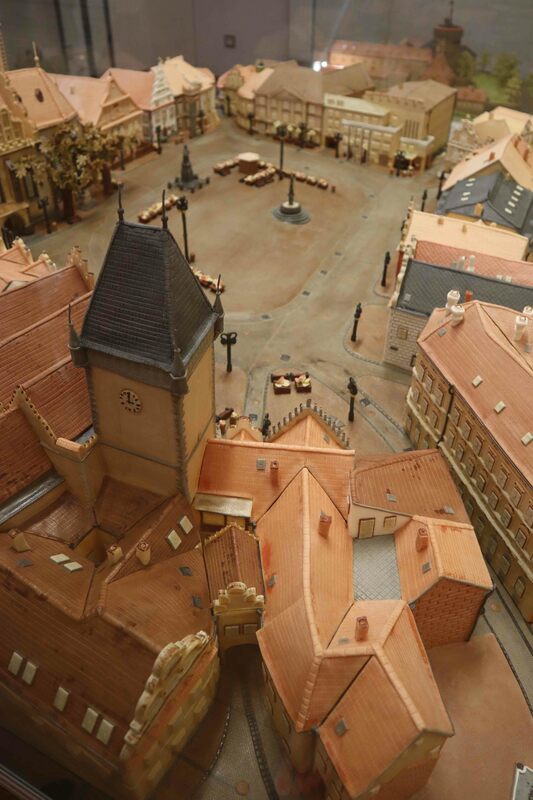 Visit CzechTourism.com for more helpful information to plan your trip to the Czech Republic. Have you been to the Czech Republic? Comment your favorite things to do below! 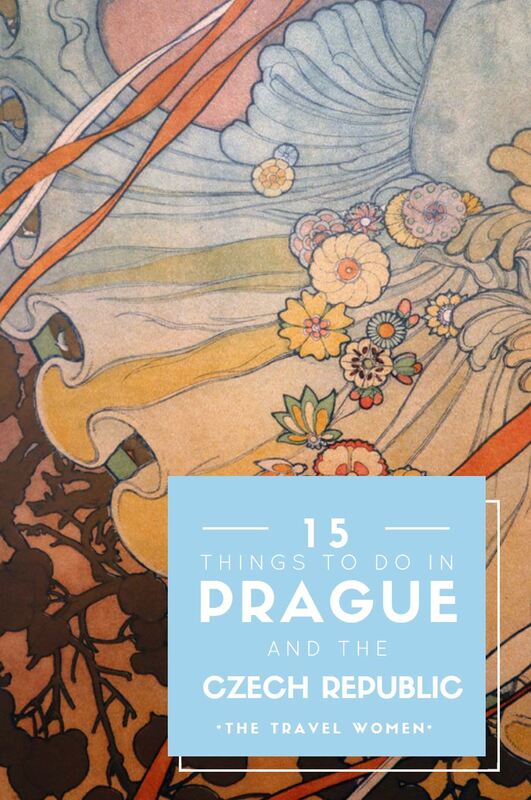 FUN QUIZ: How many times did we swap the word “Czech” for “check” in this post? Comment below how many times you saw it! This was very helpful! I am planning to move to Prague in 2020, so I will definitely be pinning this for later! it seems that you enjoyed your good time there. I also would go after reading this post. Next holiday i will plan to go there with family. Could you please tell me, is this place costly or average? Thanks for asking I don’t think it was very costly, just about average, there are certain experiences that can cost more but there are definitely ways to save by finding less expensive accommodations for example! Hope you have a wonderful family trip! Such a amazing post, thanks for share this. Prague city is beautiful city. Great article, thanks for the tips! Indeed, boasting the highest density of castles in all of Europe, well preserved Gothic architecture in Prague, and cities and towns each with a story to tell, Czech Republic offers a magical experience second to none. However, in this beautiful land also lie tourist-targeting scammers and petty crime. Do be wary of the petition donation scam, kneeling beggars, fake metro ticket inspector, overcharging taxi, rogue money exchanges, rigged ATMs and many more! What a FANTASTIC write-up! Castles, race cars, could this get any better? Thanks for the unique take! Agreed castles, race cars, oh my! Really appreciate your comment, thank you!